A communications solution partner for more than seven years. Radiology is a complex field, attracting some of the brightest medical minds who make use of imaging technologies to identify and treat a range of diseases. Given the importance of the industry and the significant impact it has on people's lives, it goes without saying that organisations operating within this sector demand the very best in communications solutions. As a Fonality partner for more than seven years, Trucell is able to offer organisations a range of powerful and customisable phone systems that allow them to route inquiries more effectively, better manage their call queues and ultimately provide higher quality customer service. Trucell CEO and Lead Engineer Jason Mead believes it's a combination of these benefits that make Fonality's communications solutions so popular in the medical space. There are many companies touting the latest and greatest in VoIP business solutions, so what were the key factors that led Trucell to partner with Fonality? Mr Mead explained that part of his decision was largely centred on the advantages of the cloud. "In the medical field, where data and information management is so critical, there's a real push to virtualise everything. Not only does this make it easier and quick to access important files, it also means that all the documents are backed up in case something happens to the physical records," he explained. "Fonality's phone systems work on a similar principle, with everything being backed up automatically into the cloud. That means all my clients' conversations are stored securely with an off-site physical copy that can be used to restore the data should anything happen to it." Mr Mead was also impressed by Fonality's open architecture. Many telephony providers lock their users into only using proprietary products, which somewhat stifles the flexibility that cloud-based phone systems provide. However, Fonality's framework, which is based on the open source Asterisk, allows users to utilise the hardware of their choice while unifying them all under one powerful and customisable platform. This is a cost effective option for Mr Mead's customers, many of whom already have pre-existing phones in place. It also gives them the freedom to use whatever equipment they desire, and put together a system comprised of products from multiple manufacturers, which may provide greater functionality than if they were confined to a single brand. In the dynamic, fast-paced radiology world, it's impossible for medical professionals to know where their fellow colleagues are at all times. Mr Mead explained that in these circumstances, his customers find Fonality's heads up display (HUD) feature invaluable, as it enables employees across every facet of the business to immediately see who's available and transfer calls accordingly through an intuitive, easy-to-use system. In addition, Mr Mead also discussed the advantages of Fonality's reporting features. "Basically, Fonality's phone systems assign responsibility to employees. They can track not only how many calls are on the line at once, but also how long it took a specific worker to answer calls on average, abandon call rates and a bunch of other statistics." A combination of these features made Fonality the logical choice of telephony partner for Mr Mead. 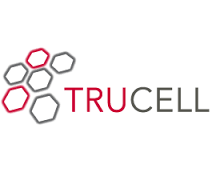 Trucell's customers continue to make use of the phone system's power and flexibility to streamline their processes and provide higher quality service to their callers.